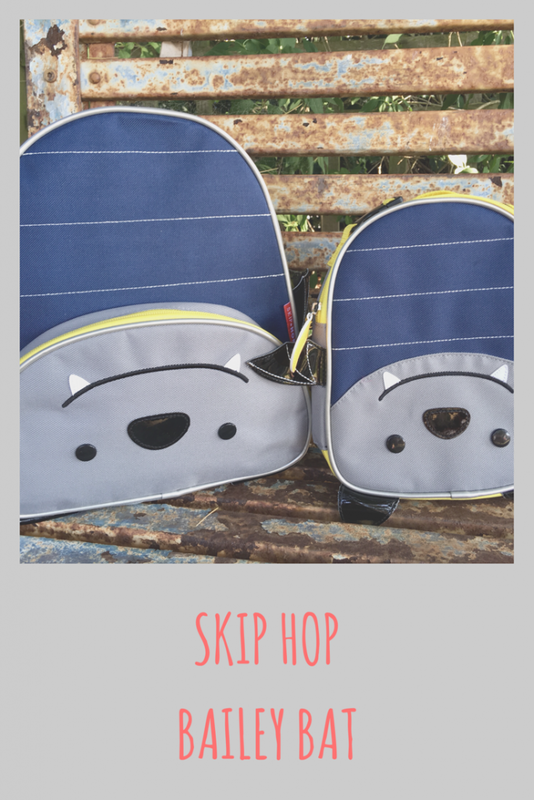 I love Skip Hop bags, Lucas has previously had the Skip Hop Dino Little Kids Backpack and also has the Giraffe suitcase. 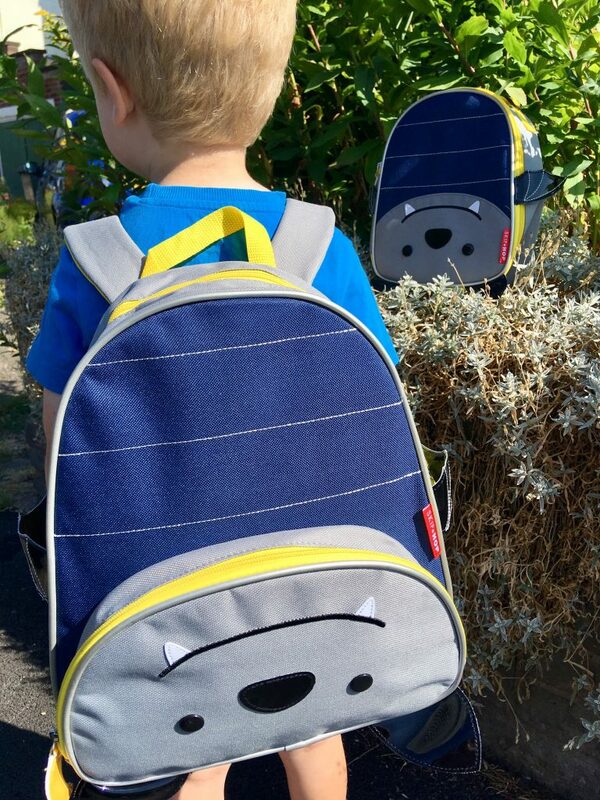 When the lovely PR people offered to send* Lucas a new bag for nursery, I was very happy to see their new designs. 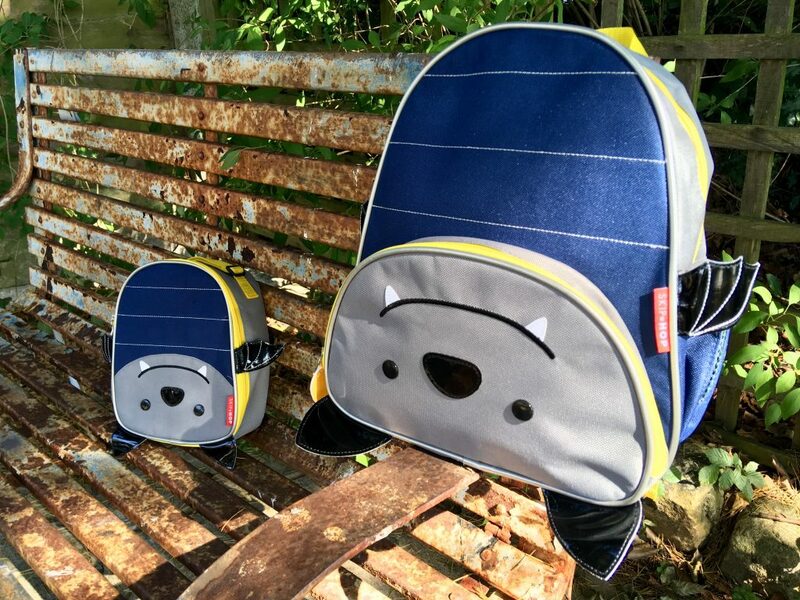 They sent Lucas the Bailey Bat Little Kids Backpack and the matching Bat Insulated Lunch Bag. 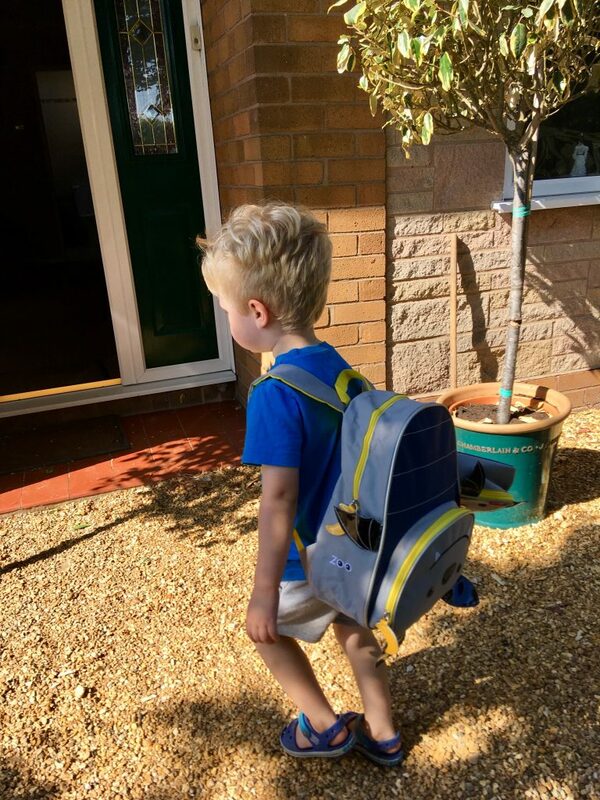 The little kids backpack is the perfect size for Lucas to wear on his back and to fit in everything he needs on a day out or his spare outfits for nursery. The big compartment also has an easy clean lining and a write on name tag inside. I love the details on this bag, the wings and ears of the bat are a fun feature and made of durable material to keep them looking good. 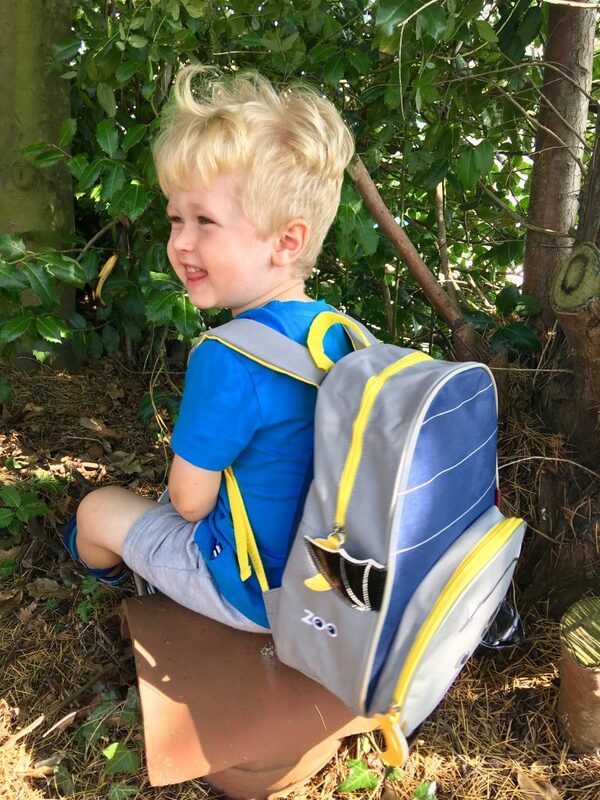 There is a mesh side pocket that fits Lucas’ drink bottle and a front pocket to put the items that Lucas likes to have accessible such as the trains he takes out that day. The straps are also nicely padded to ensure it is comfy for him to use. The lunch bag has a clip on the handle to clip on and off onto any bag making it perfect to clip onto Lucas’ bag if we are taking both out or onto my bag if Lucas just takes this bag out and decides he ‘can’t’ carry it anymore. The inside of the bag is a wipe clean insulated material to keep food and drinks cold. There is also a mesh pocket that would be great for putting his utensils in or a small ice pack. Lucas absolutely loves the bat design and proudly carries his new bags. The Zoo collection also has cutlery, tableware and a water bottle to match each design. There are 29 animals to choose from including a llama, unicorn, butterfly, monkey and hedgehog. They’re two very cute bags. 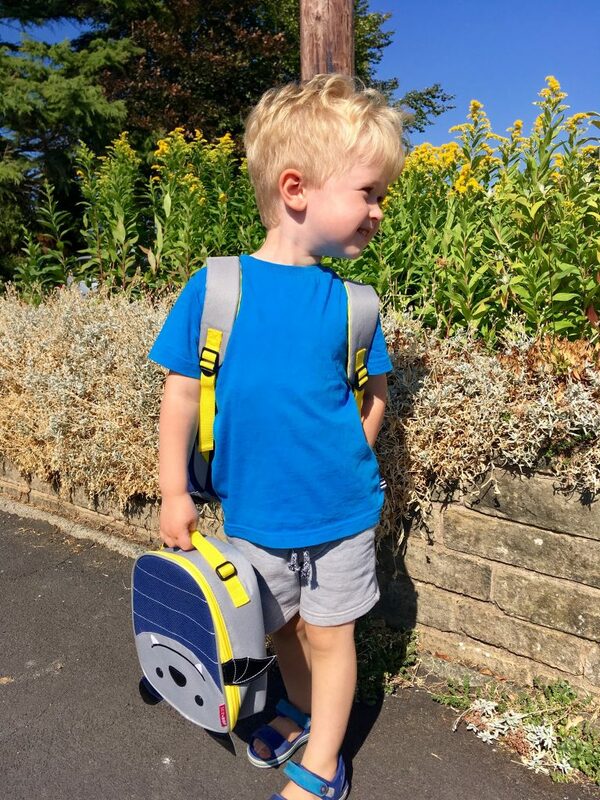 The backpack looks like a great size for little ones and the matching lunch bag is great! The bag design is so cute. My son would love it.